September 2014 is the busiest month of the year for many BPA members with two international trade shows on the agenda – ABC Kids Expo, Las Vegas (7th to 10th September) and Kind und Jugend, Cologne (11th to 14th September). 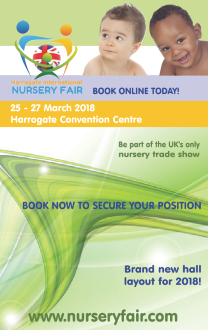 Both shows offer exciting new business opportunities for manufacturers and suppliers of baby products and between them open doors to trading with almost every continent in the world. The BPA is hosting UK Pavilions at both shows, in South Hall Level 2 of the Las Vegas Convention Centre and Hall 11.1 of Koelnmesse. 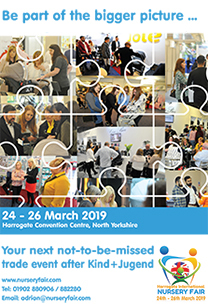 The UK Pavilion at Kind und Jugend is the biggest ever with over 60 exhibitors – you can download a copy of the UK Pavilion Directory HERE – and if you are attending either show, do come along and meet the BPA team. Leading market research company GfK will be presenting two very informative seminars in the UK Pavilion Networking Arena, revealing the hottest baby products in the UK and comparing how much British mums and dads spend on their offspring compared to European counterparts. The seminars take place at 2pm on Thursday 11th September and 11am on Friday 12th September. The European Nursery Products Confederation (ENPC) is presenting a thought provoking seminar entitled: New Market Surveillance Package – How it will Impact the Nursery Industry. This takes place at 3pm on 11th September in the Kind und Jugend Conference Centre.